A lighter version of Hyperion. Hyperion is a relative of Clio and our CX test series. A strong reduction colour that is designed to strike automatically during the bead making process to medium amber. 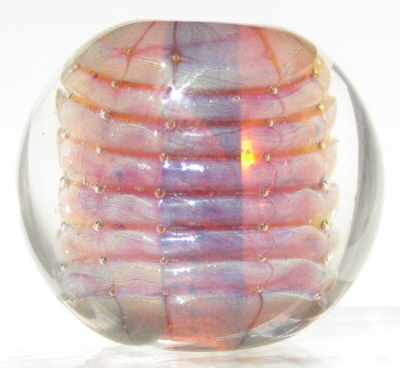 Encasing the light reduction in clear results in a purple pearlescent luster. For best results, follow the reset and cooling process for Striking Colours, then reduce.